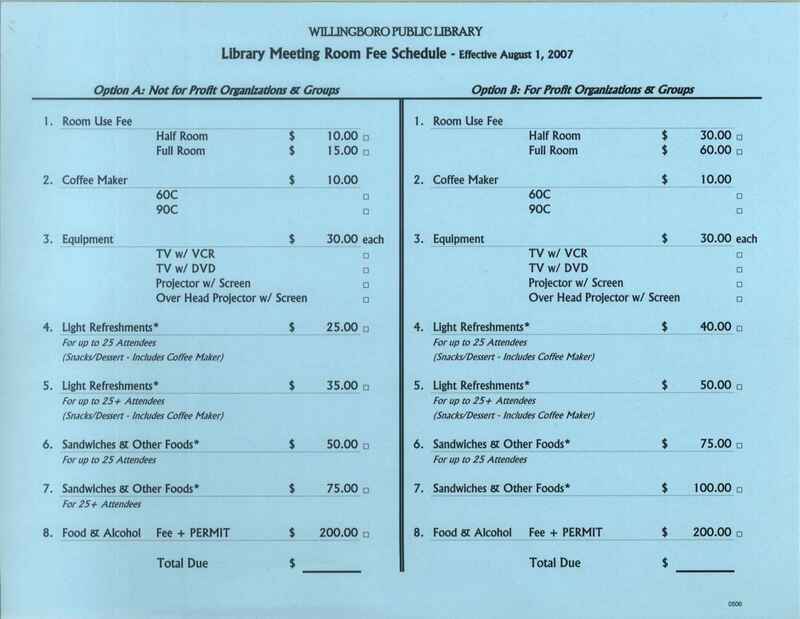 Please read the Willingboro Public Library's Circulation Policies before completing the library card application. Each eligible library patron shall provide the Library with a current valid New Jersey Driver's license or a photo ID and one of the following: recent computer statement from a major credit card company or local utility (gas, electric, cable etc. ); a recent bank statement; a voter's registration (a second form of ID is required); a current tax bill (non-resident property owners) or signed lease agreement. Each member of each household is entitled to membership. The signature of a parent or guardian is required if the applicant is under 18 years of age, except for legally emancipated minors. Each patron shall be responsible for all use made of his/her card. If the card is lost or stolen, the patron is responsible for all charges against it until the loss is reported. Each patron is responsible for informing the Library of changes in his/her address. Once you have been issued a WPL card, be sure to bring it with you when you visit the library. A current photo ID is also acceptable for checkout. For security/privacy of your personal records on the Public Access Catalog, you can choose a 4 digit PIN Number. The PIN Number is another way of insuring the confidentiality of your records. Please ask at the Circulation Desk if you need assistance. ALL educators who teach in schools in Willingboro Township are entitled to a second WPL card, which will permit additional Juvenile, young adult materials and educational videos to be borrowed for classroom use. These cards will not affect the use of their personal membership card. The borrowing limit is 30 items and the lending period for each item is 6 weeks, except for audio-visual materials. Homeschool instructors will be given the same borrowing privileges as township teachers. A Tri-County Home Educators Membership Card or registration with the Township Board of Education is necessary. Teacher card must be renewed yearly. privileges suspended until they are brought below $20.00. Full cost of item, if available, or item type cost average.